Support for the Black Lives Matter movement and its goals (see right column). The annual remembrance of the bombing of Hiroshima and Nagasaki with an emphasis on nuclear nonproliferation. An Abraham's Table Discussion and Forum Series, to promote appreciation of the commonalities and respect for the differences of peace builders. Cosponsored with the Turkish Cultural Center of Staten Island and the Peace Islands Institute. Nuclear Abolition forums and roundtables. A panel discussion on the rise of the immigration enforcement industrial complex. A book discussion of They Take Our Jobs with author Aviva Chomsky. Participation in the traveling Peace Pole project, which ended with its permanent installation near the ferry terminal on September 11, 2011. An annual Iftar dinner at the UCSI, sponsored by the Turkish Cultural Center of Staten Island. 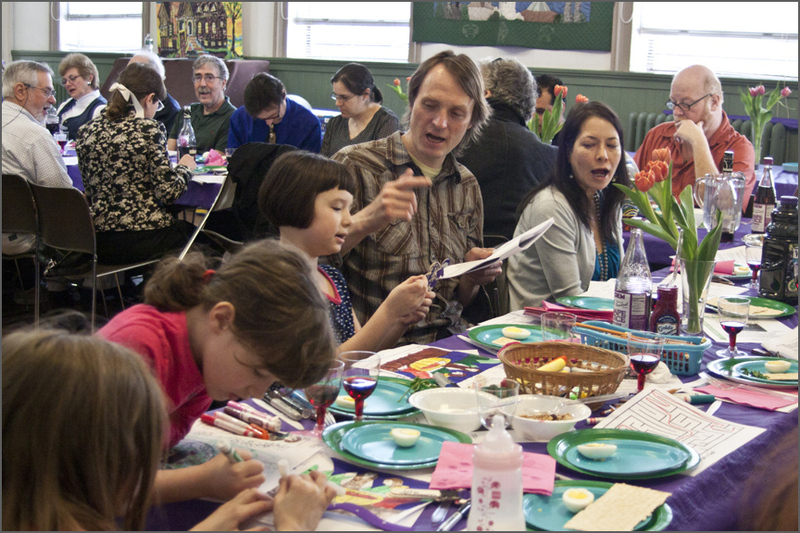 An annual Interfaith Seder that typically draws 30 - 40 people. ​The purpose of social service is to meet the needs of persons in distress. For examples, by sheltering the homeless, collecting money, donating food or clothing. Often social justice service is done in partnership with those being served and/or supporting or partnering with other organizations. The purpose of social education is to teach people about the importance of a social issue. The goal is to inform people about the aspects of the issue and also interpret the issue within the context of liberal religious values. For example, through reading groups, speakers, discussion groups, worship services and sermons. The purpose of social witness is to make public by word or deed the convictions of an individual or organization regarding a particular issue. Examples: Participating in demonstrations, vigils, and marches, writing letters, passing resolutions. The purpose of advocacy is to work through the legislative process in order to impact public policy, as well as to contact officials in a variety of other social institutions that deal with the public in order to alter their policies the affect them. The congregation hopes this will be only the beginning of a deeper outreach into the community for justice and equality, partnering with organizations and creating public programs with similar goals. The congregation also wishes to reach out to local law enforcement people with compassion and understanding. 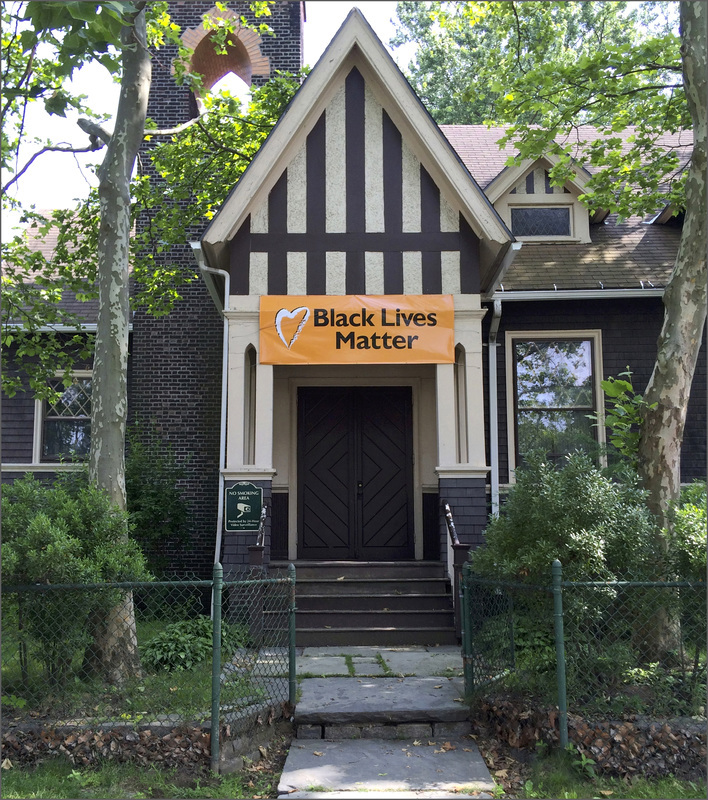 This effort continues the strong commitment to social justice at the Unitarian Church of Staten Island, since its founding in 1852. Many of its original members were Abolitionists, including George Curtis, for whom the high school is named, and the family of Robert Gould Shaw, who led the first black regiment in the Civil War.